Would you like to drill and drive in scews without cable and independently from the power grid? No problem. 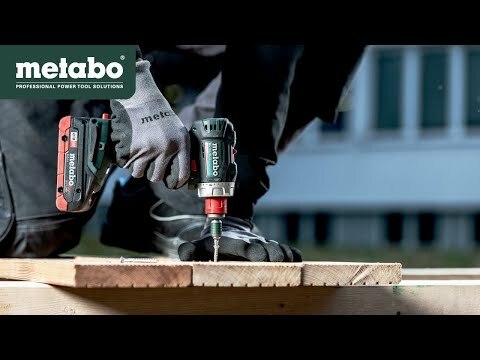 Cordless screwdrivers from Metabo are available with a battery pack voltage from 10.8 Volt to 18 Volt. 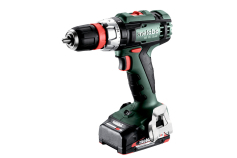 The small, light 10.8 Volt cordless screwdriver Power Maxx BS with an extremely short overall length is ideally suited for drilling and screwdriving with smaller diameters. 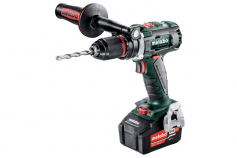 For more power use our 18 Volt two-speed screwdriver. They are divided into 3 performance classes: L, LT and LTX. 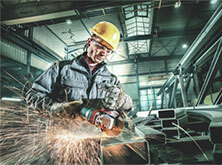 The LTX drills/screwdrivers are designed for very demanding, hard applications. 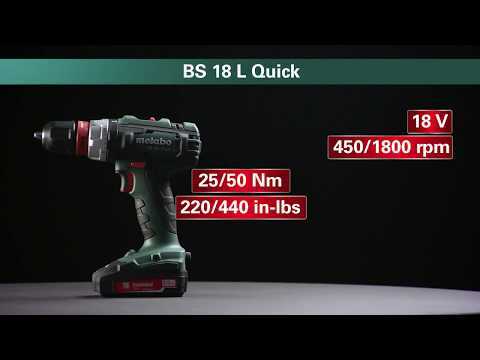 The widest range of applications is offerd by the brushless 3-speed power packs BS 18 LTX-3 BL I and BS 18 LTX-3 BL Q I with quick system. 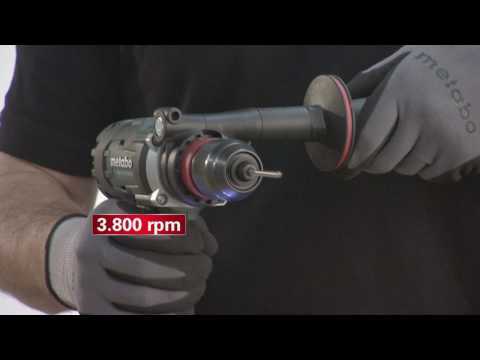 They have an extremely wide speed range and a high torque of 120 Nm for powerful screwdriving performance and versatile drilling in metal and wood. 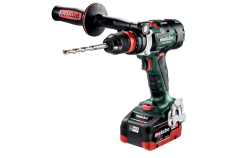 Cordless drills/screwdrivers with quick system are genius when it comes to frequent switching between drilling and screwdriving. 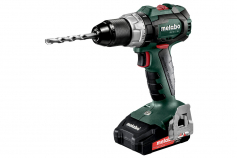 In a matter of seconds the drill chuck with drill bit is changed for a bit holder with bit, without any tools. You cannot do it faster. 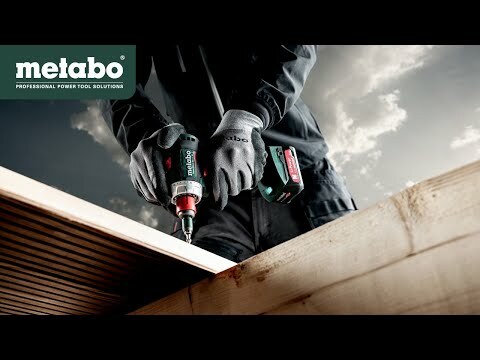 In the event of jammed screws or when spot-drilling on smooth surfaces the impulse function that is standard for all LTX screwdrivers gives a helping hand. 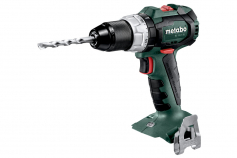 For demanding applicatins we recommend cordless drills/screwdrivers with brushless motors. 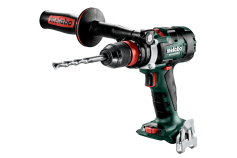 If you rather attach importance to fast drilling and screwdriving, use cordless screwdrivers with a 4-pole motor. Drill bits for any material in any diameter as well as many sophisticated bit sets can be found in our range of accessories. With regard to the battery packs you can choose different capacities within the voltage class. Whether a proven Li-Power battery pack or an LiHD battery pack with high-performance cells - all battery packs come with a 3-year warranty, independent from the number of charging cycles. Our chargers quickly raise full power again in the battery packs, even 8 battery packs at once with the desktop charger ASC multi 8, if many cordless drills/screwdrivers and other devices are being used at the same time. Thanks to the Ultra-M technology, machine, battery pack and charger are always perfectly matched to each other: intelligend battery pack management and the patended AIR COOLED charging technology guarantee maximum performance and long service life. 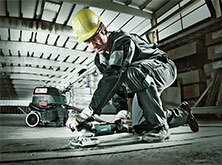 Discover cordless freedom - now cross-manufacturer!